Sporty styling and performance mesh with an impressive array of safety technologies in the smooth-riding Toyota Camry mid-size sedan. 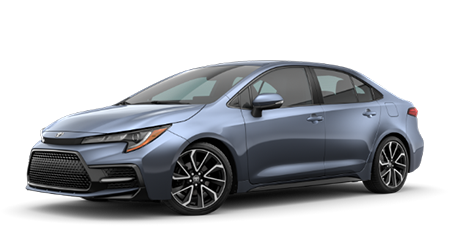 With its technology-packed cabin and fuel-efficient powertrain, the new Toyota Corolla impresses with much more than its driver-friendly price! Satisfy your adventurous side with the Toyota RAV4, a versatile SUV equipped with available built-in navigation to guide your way. From its three rows of spacious seating to its advanced safety technologies, the new Toyota Highlander is an SUV the entire family will love! Coad Toyota Paducah invites you to secure that quality new or pre-owned Toyota you have been eyeing today! Our new and used car dealership in Paducah, Kentucky boasts an array of automotive services to take advantage of, whether you shop here on our interactive website or visit us for a closer look. Our dedicated staff is here to provide a tailored sales, finance, parts and service experience to all our Murray, KY area neighbors, so do not hesitate to reach out to our Toyota dealership team today! Let our helpful Toyota sales associates introduce you to a range of new Toyota vehicles equipped with the Toyota Safety Sense™ driver-assist suite as standard. Our finance department can review your credit application and get you into your new Toyota RAV4 of choice in no time. Motorists from nearby Metropolis, IL can treat their Camry or Corolla to professional maintenance or complete auto repairs at home using genuine Toyota components, thanks to our on-site service center and parts department. 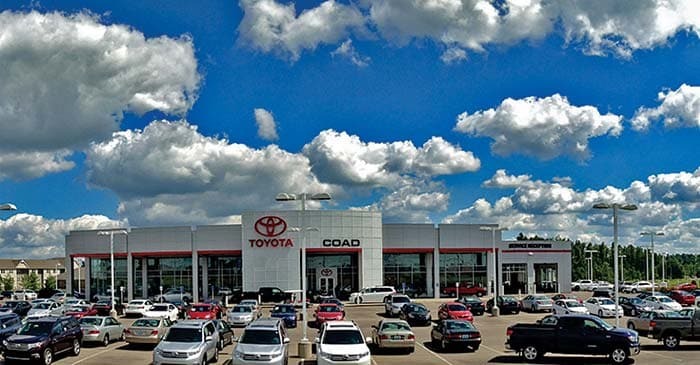 As your local Toyota dealer, Coad Toyota Paducah is committed to providing for all of your automotive related needs, so visit us in Paducah or call us at (618) 614-2127 at your convenience! Why Buy at Coad Toyota Paducah? 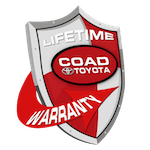 Here at Coad Toyota Paducah, we offer our Lifetime Warranty that applies to all new vehicles and select used cars at any of our Coad Family of Dealerships locations. The Coad Lifetime Warranty also applies to pre-owned vehicles that are five calendar years old or newer with 50,000 miles or less and have passed our Lifetime Warranty certification program and a Carfax vehicle history check. Shop and visit us today to experience our competitive, no-hassle pricing, the peace of mind of our Lifetime Warranty and a dealership filled with convenient amenities! 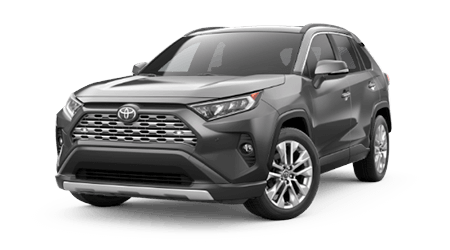 When you are on the hunt for a brand-new car, SUV or pickup truck near Union City, TN, remember to shop Coad Toyota Paducah and our extensive new Toyota inventory! Not only is your new Toyota purchase backed by ToyotaCare no-cost maintenance plan for added peace of mind, but also our Lifetime Warranty, which covers the same components as your new vehicle's factory powertrain warranty -- but for unlimited time and miles! Visit our Toyota dealership's sales staff for a customized shopping experience; or, start your search for a new Highlander or another Toyota model we have in stock here on our user-friendly website! Coad Toyota Paducah's finance team assists drivers of all financial backgrounds and credit ratings, so no matter if you are just beginning to establish credit, possess a great credit score or are shopping for a used car with a sub-prime credit rating, we're here to help! Contact our auto loan specialists at our Paducah location near Murray, KY or utilize our convenient online credit application to express interest in our Toyota financing services. With help from Coad Toyota Paducah, you can drive home in a quality new or used Toyota in no time! Coad Toyota Paducah's in-house parts department is where local drivers can find all the competitively priced genuine Toyota parts needed for any at-home auto repair. We welcome nearby Murray, Kentucky drivers to visit us in Paducah for a more personalized parts shopping experience. Of course, Toyota drivers can also use our online form to order Toyota parts at any time. No matter how you prefer to shop for OEM (original equipment manufacturer) parts for your Toyota, you can count on our knowledgeable team and affordable prices. When you are looking for a cost-effective way to upgrade from your current vehicle, consider our selection of pre-owned cars for sale. Here at our Paducah, KY dealership, you'll find quality pre-owned Toyota options plus used cars from other reputable brands. Our collection of inspected and reconditioned Certified Pre-Owned Toyota vehicles are a smart option when you want to enjoy the perks of a new car with the reduced price of a used one. Make use of our dealership's convenient vehicle appraisal services to help you trade in and trade up to a stylish pre-owned Toyota RAV4 today! Our Toyota service center is the right home for your Toyota when the time comes for auto maintenance or repairs. Our trained and certified technicians will help ensure that your Toyota provides you with many more miles of trouble-free driving. With extended service hours, a dedicated customer lounge and other perks, there are plenty of reasons to choose our service department for all your auto care needs. Plus, with our service specials, drivers from nearby Metropolis, IL can treat their car to quality maintenance at highly affordable prices! 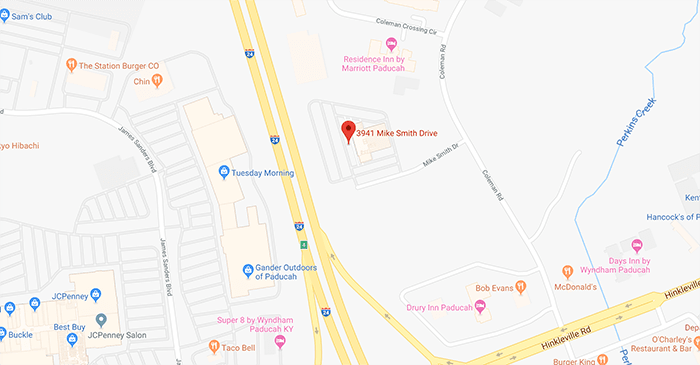 Thanks to our many online Toyota resources, drivers from nearby Murray, KY and Union City, TN can take advantage of all that Coad Toyota Paducah has to offer before driving down to our dealership in Paducah. 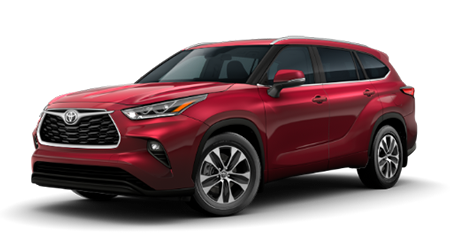 Explore the latest Toyota lineup, apply for auto loans or shop our current Toyota lease and finance offers online now, then contact us with any questions you may have. You can even schedule a service appointment here on our website! The entire team here at Coad Toyota Paducah is committed to meeting or exceeding your high expectations, so shop our dealership today.